Needed to take a quick walk up to the train station to run some errands today and found myself in need to satisfy my caffeine addiction. 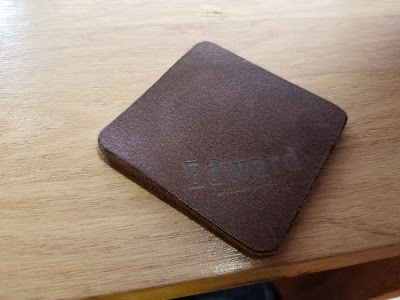 Having heard quite a bit about how amazing Edward's Specialty Coffee is, I found it to be a perfect opportunity for me to go and check it out. 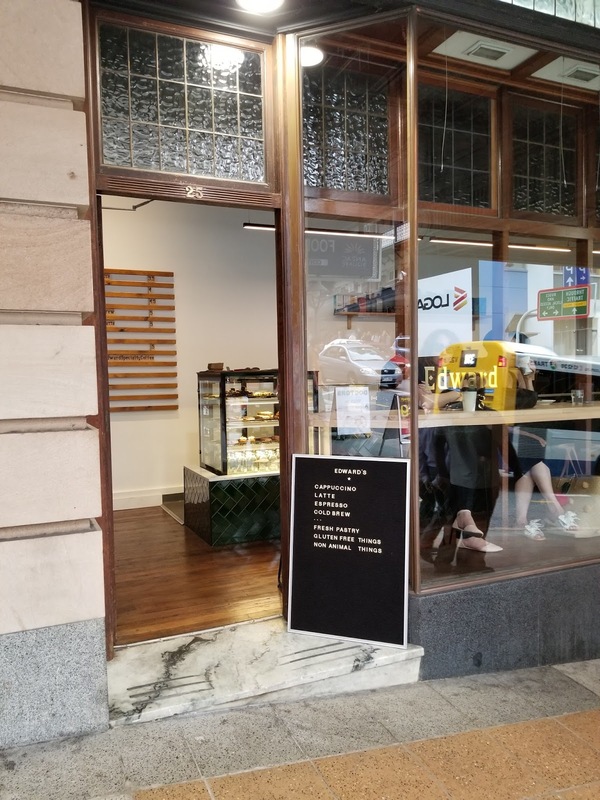 Situated along Edward Street, opposite my fav burger joint Charboys, it is somewhat far from my Eagle Street lodgings, but definitely worth the walk. The store was quite small, with maybe around 10 or so seats, if that many. 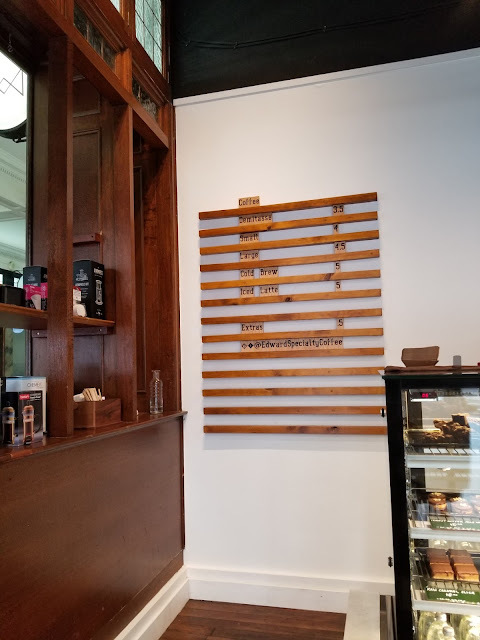 The menu had the standard variety of coffee, notably with cold brew. The display cabinet was glorious. Normally I wouldn't be tempted, but the marshmallow heart was just far too cute to resist. 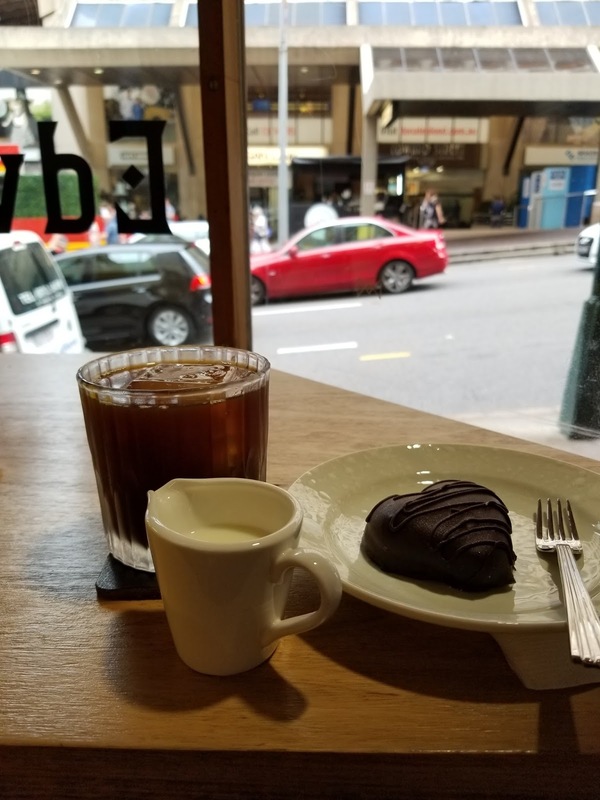 Ordering at the counter, I was given a really cute placeholder, and I grabbed a seat near the window so I could appreciate the view whilst waiting for my coffee to come. After a very short wait, both coffee and heart were brought out. Kudos to the friendly staff too. 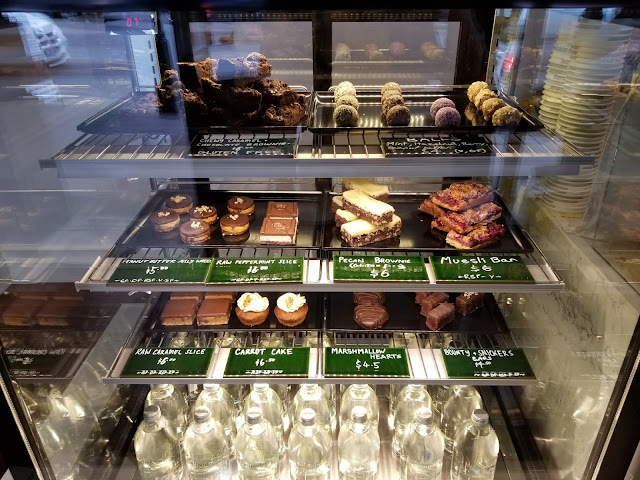 So I had the cold brew. I asked for a side of milk as an option and this was provided without question. 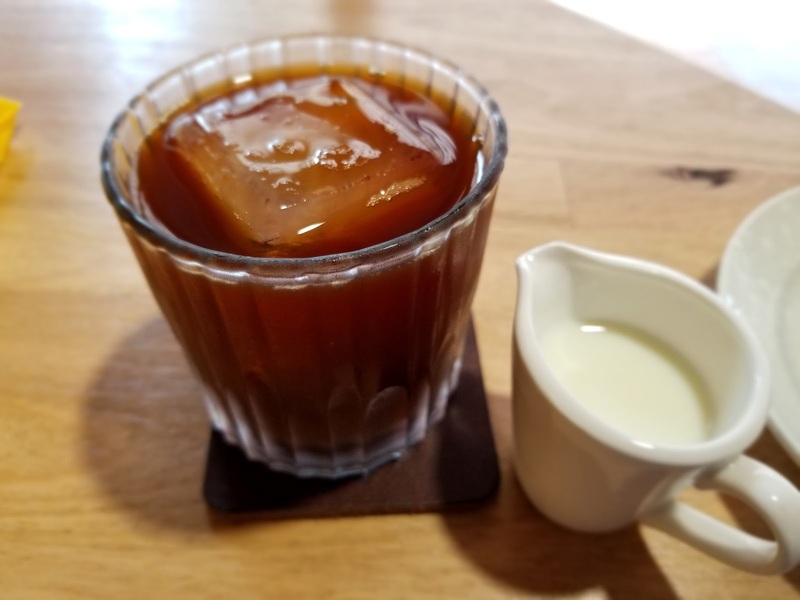 The coldbrew was refreshing and fruity with hints of berry which made for a very nice afternoon drink. 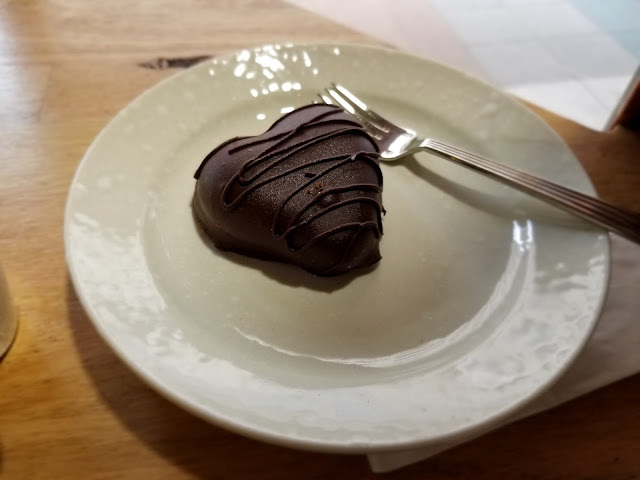 I also really enjoyed the chocolate heart. It came quite chilled. 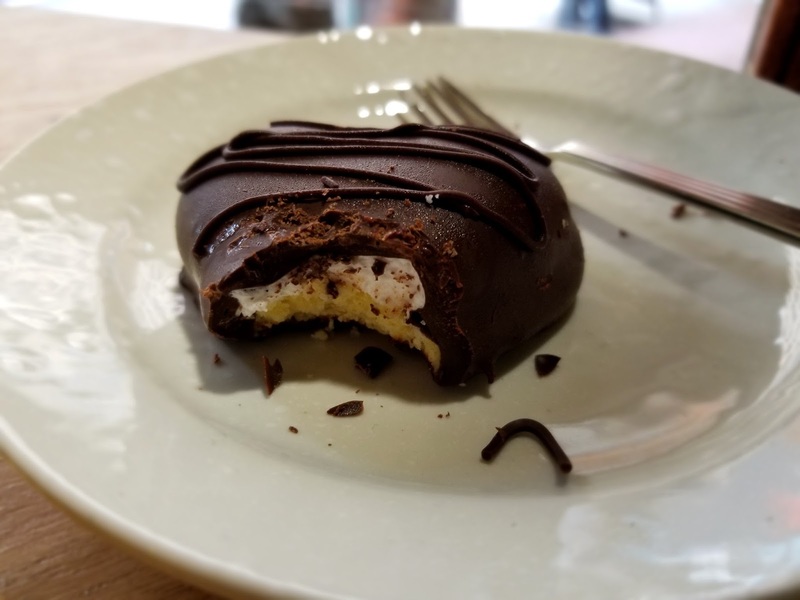 Inside the delectable dark chocolate shell was fluffy marshmallow atop a crumbly biscuit base, making a wonderful afternoon treat before I had to go back to work.